Why Is Pope Francis Ignoring Me? What is Pope Francis up to and why are Catholics so mad about it? That wasn’t the stated topic of the Pope Francis Symposium last week at Franciscan University in Steubenville, Ohio. But that question burned in the background of discussions prompted by speakers such as Philadelphia Archbishop Charles Chaput and Jesuit Father Robert Spitzer. To use political terminology, the pope seems to have “offended his base.” Some Catholics at the symposium were unhappy with the pope for any number of reasons. Recent remarks about the Extraordinary Form of the Mass are just the most recent example. They don’t like his criticism of “proselytism” without defining what that means, or his warnings about rigorism, when they see little of it in their parishes. They don’t like his rhetoric, either, from “who am I to judge?” to “small-minded rules,” don’t “be like rabbits,” and on and on. 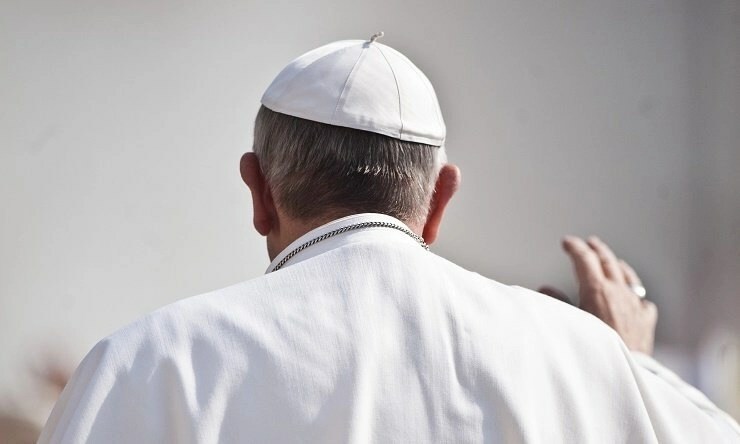 I was troubled enough by these papal statements to write a whole book that tries to get to the bottom of them — and the keynotes at the Symposium elaborated on the same theme. Maybe Francis is doing what Jesus said – leaving the 99 sheep behind to seek the one sheep who is lost. That’s great for the lost sheep. Not so great for the 99 for whom the shepherd becomes a distant, obscure, retreating figure. Father Spitzer, who like Pope Francis is a Jesuit, powerfully made a case for Pope Francis’s strategy that suggests that this is exactly what is happening. He guessed at what Pope Francis’s analysis would be. He will be asking, “What is broken that very few people are paying attention to? … Who is being ignored, whom Jesus Christ would not ignore?” and his answer would be: The marginalized. The alienated. Those on the peripheries. Those who are not just materially poor, but spiritually poor. And they are many. Huge swaths of people have written off the Catholic Church as utterly irrelevant. Many of them cite science and other rational discourse to say that the Church is no longer relevant. Others are alienated by divorce. Their marital situation keeps them out of the Church. Others don’t think the Church is concerned about what they are concerned about — burning secular issues like the environment seem unimportant to Catholics. He would then go about getting that job done, using any means at his disposal, ceding every nonessential point that keeps him from communicating Jesus Christ with those he needs to reach. Spitzer cited the Jesuit principle of inculturation: “Go in their door so they will come out your door.” Think Father Matteo Ricci dressing like a Chinese man and adopting whatever customs he could to ingratiate himself with those he hoped to convert, he said. Think of the Jesuits in the movie The Mission. You can see Pope Francis taking this approach in Laudato Sí. “Pope Francis is quoting scientists whom I would never quote. Some of them are overt atheists and overt agnostics. You read this and think, well what about our scientists?” Pope Francis then goes “into the weeds” and addresses all kinds of practical issues that are not proper subjects of the magisterium, from global warming to air conditioning. Why? He is reaching out to people who have found it easy to write off the Church. “You can’t set up the Church as a straw man so easily when the Church is quoting your scientists and embracing your issues,” said Spitzer. Archbishop Chaput’s keynote address made a similar point, quoting Martin Luther King, Jr.
“Martin Luther King, Jr. told his followers that wanted to change the world that it’s important we love our enemies in such a way that they know that we love them,” he said. Both keynotes stressed the great risk inherent in this method, though: When you cede what is nonessential, you risk losing what is truly fundamental. Where does that leave those Catholics who feel offended by the pope? It’s our job to keep vigorously proclaiming the truth as we know it so that it never gets lost. But we can’t expect different treatment from Pope Francis. We feel left behind. Because we are. The shepherd is away looking for that lost one, trusting we’ll stay put. Let’s pray for his success, and help him welcome whomever he can bring in. Photo: Catholic Church England and Wales, Flickr Creative Commons.